NEW YORK (AP) — Thunder bolt and lightning rocked the 76th Golden Globes where a string of upsets culminated with the Freddie Mercury biopic "Bohemian Rhapsody" winning best picture, drama, over another movie about musicians: Bradley Cooper's much more heavily favored "A Star Is Born." 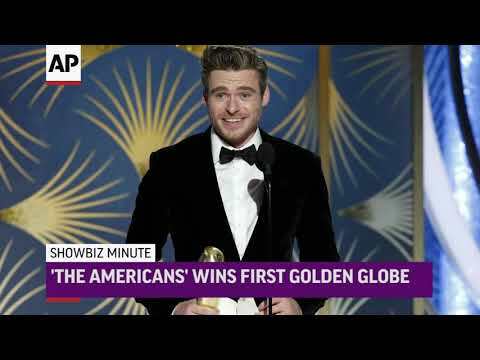 LOS ANGELES (AP) — The Hollywood Foreign Press Association says it has chosen a date for next year's Golden Globe Awards. LOS ANGELES (AP) — Turns out Olivia Colman, not Glenn Close, was "The Favourite" at the Oscars. Regina is already a King, but what about president? NEW YORK (AP) — So, Regina King walked into a 99-cent store. And what'd she get? A prophecy on her life. No joke. King was shopping around — "sometimes people will say, 'You at the 99-cent store?' I like a bargain too" — when a woman walked up to her with something of a prediction. PASADENA, Calif. (AP) — Now that she's had a few weeks to reflect on her experience as a Golden Globes host and winner, actress Sandra Oh realizes even more what it meant to Koreans and immigrants. BEVERLY HILLS, Calif. (AP) — The Golden Globe Awards looked like it had gone entirely back to frothy, bubbly business as usual, until Regina King did the impossible: She got the orchestra to stop playing her off. Not even Lady Gaga had that much power. BEVERLY HILLS, Calif. (AP) — It's not only who wins or loses at the Golden Globes, but how stars occupy themselves during the three-hour-plus ceremony and manage to navigate a packed ballroom. Here's a glimpse at what happened off-camera during Sunday's awards at the Beverly Hilton Hotel. Mahershala Ali's timing was a bit off early in the evening. Actress, Drama: Glenn Close, "The Wife"
Actor, Drama: Rami Malek, "Bohemian Rhapsody"
Comedy or Musical: "Green Book"
Actor, Comedy or Musical: Christian Bale, "Vice"
Actress, Comedy or Musical: Olivia Colman, "The Favourite"
BEVERLY HILLS, Calif. (AP) — Rami Malek said his "heart was pounding out" of his chest after winning a Golden Globe for best film drama actor Sunday night for his portrayal of Queen frontman Freddie Mercury in "Bohemian Rhapsody." Malek gave a surprised expression after his named was called for the award most thought would go to Bradley Cooper, who starred in "A Star is Born." It's Malek's first Golden Globe win after being nominated twice for his role on the television drama "Mr. Robot." Portrayals of real-life musicians dominated at the 2019 Golden Globes as "Bohemian Rhapsody" and "Green Book" won top honors, while the films' stars also picked up awards for their acclaimed performances. "Bohemian Rhapsody," about the late Queen frontman Freddie Mercury, bested another movie surrounded by music, the favorite "A Star is Born," to win best picture, drama and best actor in a drama for Rami Malek. Chrissy Metz has denied a report that she insulted "GLOW" actress Alison Brie during an interview on the Golden Globes red carpet and the two appeared in a social media post later downplaying any acrimony. The "This Is Us" star wrote on Twitter on Sunday night during the Globes broadcast that a report claiming that Metz used a curse word to describe Brie was "completely fabricated." She wrote that she adores Brie and would never say a bad word about her. 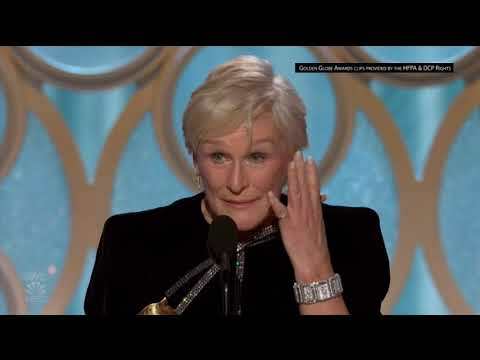 BEVERLY HILLS, Calif. (AP) — Glenn Close couldn't help but think of her mother at Sunday's Golden Globes when she won best actress in a film drama for playing a woman forced into the shadows by her husband's success in "The Wife." Through tears, Close noted her mother's similarities with her character in the film, who sets aside her own writing career to help her husband win a Nobel Prize in literature. BEVERLY HILLS, Calif. (AP) — Nearly seven decades after Jeff Bridges appeared as an infant alongside his mother in a film, the prolific — and sometimes underappreciated — actor gleefully accepted the Cecil B. DeMille Award at Sunday's Golden Globe Awards. NEW YORK (AP) — The Golden Globes gave the FX series "The Americans" a going-away present by naming it the best television drama following the conclusion of its six-season run, leading the cast and creators to hold a group hug onstage on Sunday. The Netflix comedy "The Kominsky Method" and FX's "The Assassination of Gianni Versace: American Crime Story" were double winners in the television category. Alfonso Cuaron's "Roma" won the best foreign language film and best director honors at the Golden Globes, giving the Netflix film some added awards season momentum. Cuaron based the film on a nanny who raised him in the 1970s in Mexico and he said during his acceptance speech on Sunday night that he was in awe of the film's two lead actresses, Marina de Tavira and Yalitza Aparicio. Fashion, albeit a tad underwhelming, returned to the Golden Globes on Sunday in shades of green, red, yellow and sparkly gold after last year's show of #MeToo solidarity that turned the carpet black. And then there was Lady Gaga, a work of voluminous periwinkle from head to toe. "Bohemian Rhapsody" is the winner of the best film drama Golden Globe Award. BEVERLY HILLS, Calif. (AP) — More than 50 years after Carol Burnett became the first woman to host a variety sketch show, a stint that would last 11 years and make her a household name, the 85-year-old accepted the very first Carol Burnett Award for lifetime achievement in television at the Golden Globes on Sunday. "I am really gobsmacked by this," the emotional comedic icon said after accepting the award from fellow TV legend Steve Carell. NEW YORK (AP) — When the 76th annual Golden Globe Awards get underway Sunday night, who takes home statuettes is only a small part of the intrigue. What the Hollywood Foreign Press Association's Beverly Hills, California, ceremony lacks in gravitas it usually makes up for in freewheeling frivolity and fun. The free-flowing booze helps. The Golden Globe Awards is set to feel like a major evolution from its 2015 broadcast, when comedian Margaret Cho's appearance as a North Korean film journalist who spoke in heavily accented English was slammed by some as awkward and racist. Category confusion often reigns at the Globes. Remember when laughers like "The Martian" and "Get Out" competed as comedies? But the Globes, reliably the frothiest, quirkiest and most entertaining stop in the awards-season march to the Academy Awards, might feel especially upside down this year. LOS ANGELES (AP) — To misquote "A Star Is Born," awards shows were far from shallow in 2018. Many confronted sexual misconduct in the entertainment industry head on, but as a new year kicks off with the Golden Globe Awards on Sunday one question lingers: Will it continue for another year? LOS ANGELES (AP) — Actress Sandra Oh wants to bring a lighter tone to the Golden Globes after last year's awards show took a much more serious approach centered on the #MeToo movement. 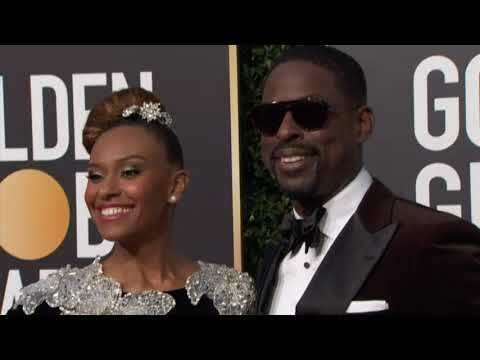 LOS ANGELES (AP) — Michael B. Jordan, Ben Stiller and Idris Elba are among the first presenters announced for Sunday's Golden Globe Awards. Sandra Oh and Andy Samberg will host the 76th annual Golden Globe Awards that will air on NBC. LOS ANGELES (AP) — Jeff Bridges may have once been considered as one of Hollywood's most underappreciated actors, but next month's Golden Globe Awards will showcase his life and illustrious career next month by bestowing him one of its highest honors. NEW YORK (AP) — The Golden Globe Awards will introduce a new TV special achievement trophy at next month's telecast and name it after its first recipient — comedic icon Carol Burnett. The Hollywood Foreign Press Association said Tuesday the Carol Burnett Award — the small-screen version of the group's film counterpart, the Cecil B. DeMille Award — will annually honor someone "who has made outstanding contributions to television on or off the screen." LOS ANGELES (AP) — Even the sometimes-offbeat Golden Globe Awards are unable to resist the allure of movie stars who dabble in television work. Julia Roberts, Amy Adams, Jim Carrey and Michael Douglas were among the nominees announced Thursday for next month's awards voted by the Hollywood Foreign Press Association. LOS ANGELES (AP) — Sandra Oh and Andy Samberg will share host duties at the Golden Globe Awards. LOS ANGELES (AP) — The Hollywood Foreign Press Association is giving $300,000 to help the victims of California's deadly wildfires. The organization best known for creating and organizing the Golden Globe Awards on Thursday announced the donation to four organizations that also include money for victims and families of last week's mass shooting in Southern California. LOS ANGELES (AP) — The Hollywood Foreign Press Association says it has picked a date for next year's Golden Globe Awards. The association said Monday that the 76th annual awards ceremony will be held Jan. 6 in Beverly Hills, California, its usual posh setting. Nominations for the Golden Globes movie and television categories will be announced Dec. 6.